Buffalo Plaid is SO popular this holiday season. I have jumped on board. I have a tunic, nail stickers and some home décor. Last year I bought Delilah buffalo plaid leggings which now fit Emmett and he looks like a dapper little man in them. Obsessed much? 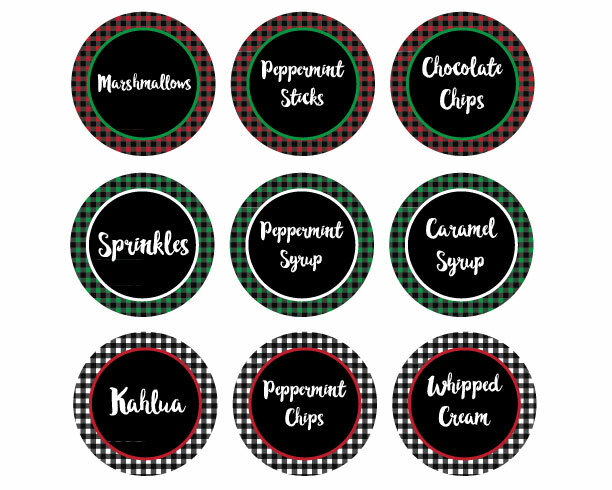 With the holidays right around the corner I’m sharing a set of free Buffalo Plaid Hot Chocolate Bar Printables. The whole shebang is here and ready for you to print and use. In two weeks I am having a little craft party here at my house. I invited all of my girlfriends with a note to leave the kids and husbands at home. I’m having it later in the evening and setting up a hot cocoa bar. Since my focus is on the craft party of the gathering I am keeping the cocoa bar SUPER simple. I purchased peppermint sticks, peppermint chips, marshmallows and International Delight Heat and Drink Hot Chocolate. I printed and cut out a hot cocoa label for everyone and put their names on the other side so we don’t get our drinks mixed up. The International Delight hot cocoa comes in Dark Hot Chocolate and Milk Hot Chocolate so I picked up a few of both kinds. I’m personally a Milk Hot Chocolate person and I know most people feel the same. Have you ever tried adding a little peppermint to your hot cocoa? You MUST try it! It is a total game changer. 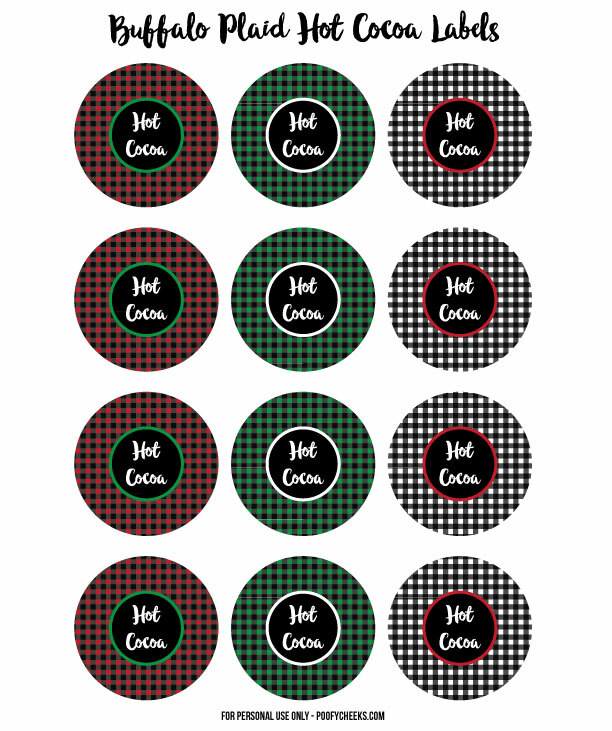 Click on the images below to get the hot cocoa labels and the hot cocoa fixin’ labels. I printed mine onto white cardstock from my home printer. I used twine to attach the labels. 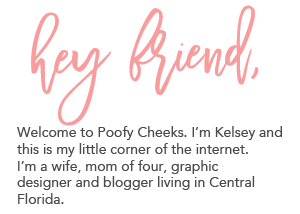 Please remember as with all the free printables here on Poofy Cheeks – these are for personal use only and may not be sold, reproduced or claimed as your own. Hurry and Heat and Drink yourself some International Deligh Hot Chocolate! A hot cocoa bar this easy is hard to resist. If I still worked outside the home I would totally surprise my co-workers with a hot chocolate bar one morning! Head to InternationalDelight.com and share how to you capture the spirit of the season for a chance to win a brunch for your family and friends from International Delight!